I’ve borrowed the heading from something President Bill Clinton said, and former US Secretary of State, Madeleine Albright restated in her new book, Fascism: A Warning. It’s a must read for anyone who gives a damn about the stopping the decline in our democracy and the advancement of autocracy. Her warning will resonate with anyone who wants to understand the slippery slope from autocratic rule to fascism. The word fascism is a pejorative that represents a dark history that today, as never before, we need to delve into and understand rather than avoid talking about it as if it was some kind of venereal disease – it’s worse. And spreading. If we don’t understand it, we may soon be living it. Fascism – or an embryonic version of it – is not only raising its ugly head in national, faux-democracies (i.e., Hungary, Poland, Czechoslovakia, Turkey and the USA), it’s also prevalent in local governments. In fact, it grows faster in small communities because it’s under the radar and flourishes in the fertile fields of apathy, resignation and public disengagement. 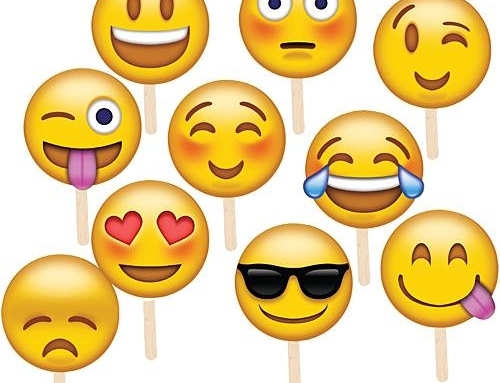 It’s here, at the grassroots level, that autocratic politicians seize control and wield power over a disconnected, disinterested, disengaged public. Plato set out in The Republic, his five stages of government from aristocracy to tyranny and illustrated how democracy (#4) declines into tyranny (#5). Now, more than two-thousand years later, Madeleine Albright warns us about where we are on the ominous spectrum. If we’re not concerned, then we’re ignorant of how the world is shifting under our feet as we act like close relatives of the ostrich. In Cobourg, a small town an hour east of Toronto, the chipping away of democracy, step by step, is glaringly evident. Under the current mayor, Gil Brocanier, autocracy has become the order of the day. He has overseen the insidious undermining of the democratic process and examples abound, large and small. One of the most egregious has been his handling of public engagement in planning for the town’s most valued asset, it’s spectacular waterfront and harbour. He once claimed that the public engagement in the waterfront planning was the best in the history of the town and yet, recently, has tried to truncate the process and stymie continuing concerns of the citizens. He is determined to bend or ignore the rules based on a flawed belief that administrative efficiency trumps (pun intended) public engagement. Nothing could be further from the truth, unless, his thinking is stuck in the 20th century political/business model that has proven an abysmal means for engaging employees and the public (i.e., 84% of Canadian employees are disengaged from their work and only half of eligible voters turn out for most municipal elections). This in the face of 21st century understanding that the only way to create a better future is through open, transparent, inviting, frequent engagement, not top-down, dictatorial management. This is the primary lesson of history that has not yet been learned by many so-called leaders. The mayor told a resident who was questioning council about his potential conflict of interest that “I know more about conflict of interest than you ever will.” Rule one in good leadership is that arrogance and disrespect are basic disqualifications. He needs to read the above referenced book (someone should send him a copy). The mayor applauded himself and other town leaders when their vote defeated a contentious issue being opposed by residents regarding a rezoning for a French language school. Obviously, he does not understand that it’s not “us versus them,” it’s not about a short-term win-lose, it’s about long-term win-wins for the community. The mayor is against further public engagement and deliberation regarding the Waterfront Plan despite the fact that last year’s survey (question 7) indicated that 65.2 % of residents wanted little or no money spent on improvements to the waterfront, voting for the status quo, but the consultants came back with a multi-million dollar marina expansion plan. Recently, after more than a dozen presentations raised questions about the Waterfront Plan, the mayor announced rules limiting further public delegations. This not only reflects a contempt for citizens, it is possibly outside his authority. 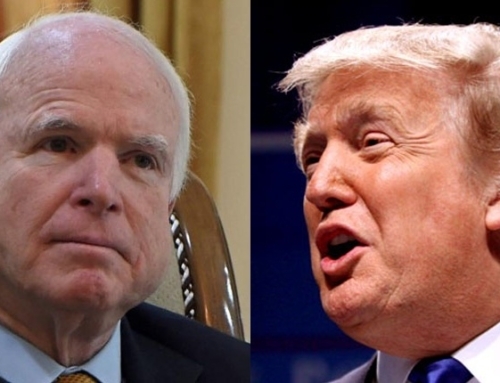 Either way, it demonstrates an ignorance of the first-principles of good leadership. The mayor has continued a policy that prevents a public “Question & Answer” period at council meetings. 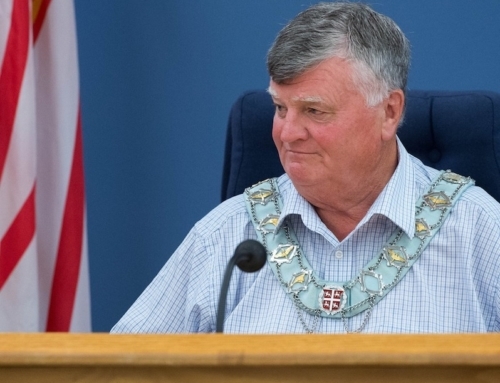 The mayor is Chair of Cobourg’s holding company, Holdco, that controls subsidiaries for water treatment, electricity and internet/fibre-optic service and yet, the company provides no financial disclosure to the public. His dubious explanation is that it’s a private company and such disclosure is not required, even though it’s owned by the town – the taxpayers. What is Doug Ford’s appeal? It certainly isn’t policy because he’s long on promises and short on details, and even though we know the devil is in the details, we voted for him. Maybe it was his tough guy persona? 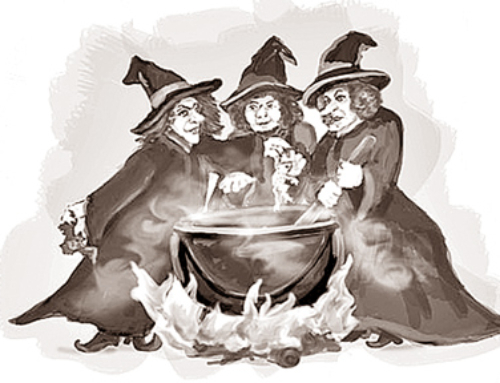 Or was it his peddling of the same old bromides of reducing taxes (revenue) and costs at the same time – a shell game that has a history of far more failure than success? And if a politician uses the words “government” and “efficiencies” in the same sentence, he’s certainly not a straight shooter. And yet, a large chunk of dissatisfied people showed up, (58% vs. 51% in 2014), voted out the irresponsible, overspending Liberals and decided to take a chance on putting Ford at the helm of the good ship Ontario. Globe and Mail, Friday, June 8, 2018: “EKOS research finds them [majority of males between the ages of 20 and 55] deeply and consistently angry at elites, anti-intellectual, chafing at political correctness, largely tepid toward trade and globalization, staunchly opposed to immigration – and especially to non-white immigration – receptive to bromides about “restoring greatness”and “taking back control” and wanting to bring back lost security and class privilege. Our discontent is mirrored in the vicissitudes of history, not unlike what Charles Dickens portrayed in his famous novel, The Tale of Two Cities, which opened with, “It was the best of times, it was the worst of times….” It chronicled the citizens’ discontent with the elites, their overthrow and the reign of terror that followed. It was the best of fiction imitating the worst of life. 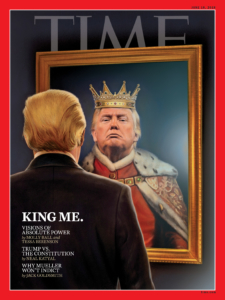 And like so much history, confirms the cycle from discontent to revolution to tyranny and emphasizes the old adage, “Be careful what you wish for, lest it come true.” It is self-evident that wishing for, and getting, strong autocrats has unspeakable downside truths. The devil is in the details and one detail that few people are aware of is Premier-elect Doug Ford’s statement that municipalities – the step-children of the province – should have more authoritarian control, not less. That’s a red flag for all folks in small towns, who now must be even more vigilant in scrutinizing a mayor’s overreach. And it does not bode well for those expecting to see a strengthening of the roles of ombudsmen and integrity commissioners. 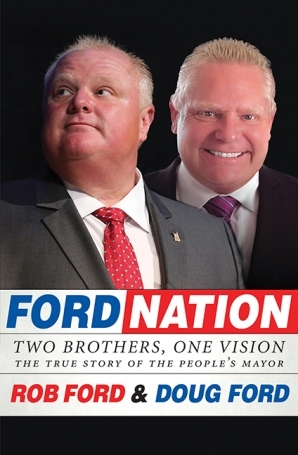 In his 2016 memoir, Ford Nation: Two Brothers, One Vision-The True Story of the People’s Mayor, Ford stated that if he ever got into provincial politics, he wanted mayors to have broader executive powers, like the ones he and Rob wanted in Toronto. He said, “One person in charge, with veto power, similar to the strong mayoral systems in New York, Chicago and L.A.” He never mentioned this during his campaign because it would not have gone down well in Ontario towns, where citizens continually struggle with disconnected, disrespectful, autocratic mayors. It’s the leading edge of an authoritarian vanguard, going in the wrong direction. 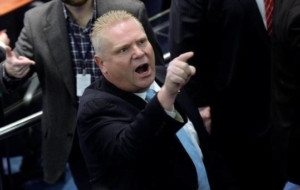 If Doug Ford supports or pushes for more power for municipal politicians like Gil Brocanier, and so many other mayors, there will be more authoritarian rule and less public engagement; more autocratic decision-making and less citizen recourse; and more erosion of democracy and less community well-being. And small details will become big problems. Fascism is a visceral word that can stir a fear – a much needed fear – among citizens, and it’s needed to offset the fear that is being tapped into by the fervor of populism, a real fear and discontentment that draws people to braggadocio strongmen who come to protect us from the sins of the past by taking control of our future and yet, promising to return to the past. It’s a false hope on the road to invidious autocracy – ask Plato. 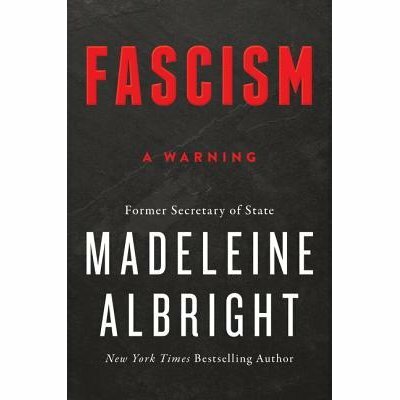 Or read Madeleine Albright’s Fascism: A Warning. But understanding it is just the beginning. We must act and protect our rights and freedoms. And it starts at the local level, where “right” must grow stronger and the “wrong” be disposed. The most important protection, is to get the right people in positions of leadership, and it can start with mayors. Leaders who understand that they are stewards of the public good, who understand public engagement is far more important than administrative efficiencies, and who are champions of the public will. 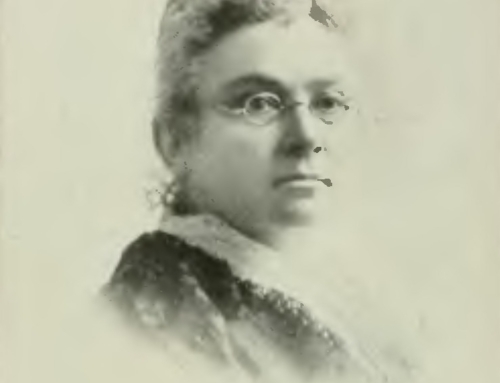 Citizens must fight against the devil’s details, push back against autocratic braggarts; against secret meetings; against disallowing question and answer periods; against short-circuiting the planning process; against truncating public engagement, and perhaps most fundamental, against the pervasive attitude among mayors, who think, ‘they know best’ and ‘they’re right, and we’re all idiots.’ (see earlier blog and book I’m Right and You’re an Idiot). The shift in the current political landscape is a harbinger of either the best of times or the worst of times, and the writings of Plato, Dickens and Albright are warnings that shine the light of history on today. Whether we heed them or not is up to us.